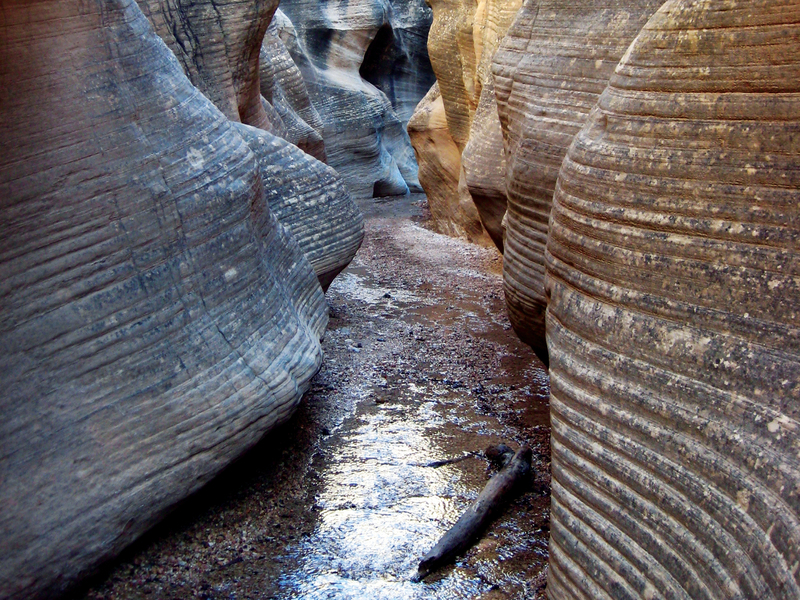 Powerful and turbulent flash floods carved this convoluted slot canyon into the Jurassic-age Navajo Sandstone along Willis Creek. Differential weathering of alternating weak and more resistant sandstone layers formed the horizontal grooves etched into the canyon’s walls. POTD June 28, 2013: Fishlake National Forest, Piute County, Utah. Looking for somewhere fun to go in Utah this weekend?